I am in process of painting five new American Garden Barn Quilts!! I am repainting a 4ft X 4ft SUNBURST that has recently been sold. It will hang on a barn here in Southern Indiana. I am also painting a 2ft x 2ft GLORY. This is the 1st time to paint this specific Barn Quilt in a 2X2 size. My previous GLORY Barn Quilts have all been 4X4. Also I am paining a totally new 4X4 Quilt Pattern Barn Quilt PRAIRIE STAR. This is a very traditional pattern with a lot of angles. This pattern remind me of a homestead, pioneer Quilt. It will be earth tone Rust color on a light Cream background. There is a PATCHWORK 2X2 also getting painted as well. This Barn Quilt has all the colors of Autumn. PATCHWORK also has many small angles to layout, tape off and paint. 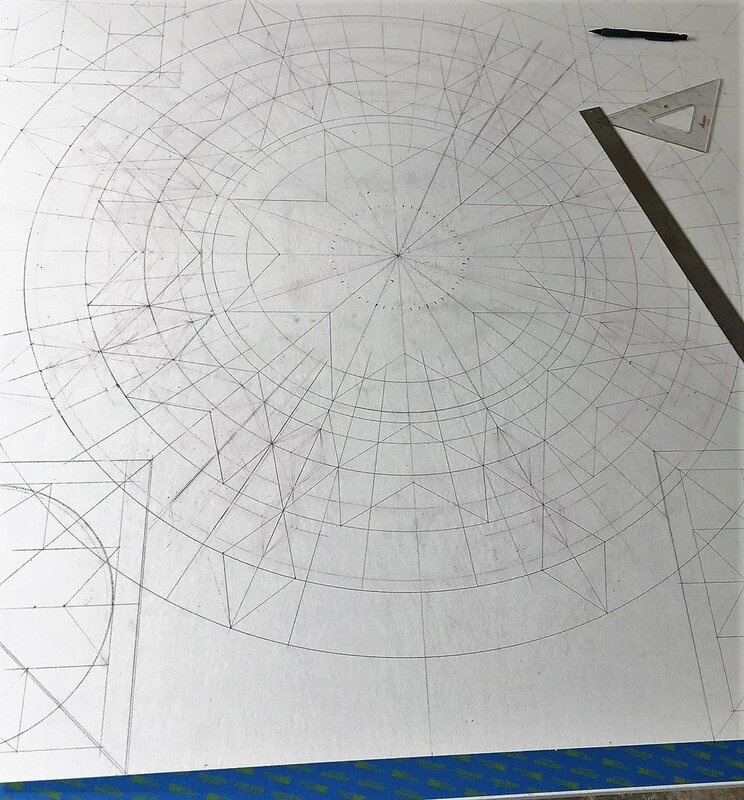 Finally I am designing a new MARINER'S COMPASS Design. It is a a Nautical Theme with the rope border that I have used before. In the AGBQ painting queue is a address mailbox sign that I need to get to! A lot is going on in the AGBQ drafting and paint shop!